-1 week to Halloween. Are you ready for the scariest night of the year? 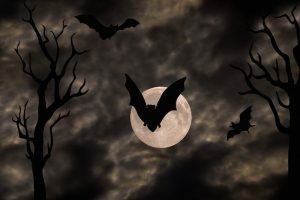 Whether if you’re preparing your house to be the next haunted mansion or that you are creating the perfect Halloween costume of all times, nothing is better than a good background music to help you with your purpose. And if you’re wondering where to find some dark horror music or simply some evil and spooky sounds, you’re in the right place. The recipe to scare all your friends on the night of 31st October is the song you’re about to download today, which is the perfect soundtrack to your evil night, when you’ll be ready to serve your guests with bloody drinks and severed fingers snacks. This dark ambient Halloween music is called “Atmosphere (Creepy Music)” by Moonlight Spirits, and it’s in the album “Halloween”, a spooky collection of Halloween party music with horror sound effects to open your 2016 Halloween Party. Prepare yourself to “trick or treat” and dance all night long to the these music and don’t forget to follow Meditation Relax Club blog for more interesting ideas for a crazy Halloween party! Spotify is also available to help you with your Halloween background, leaving you with a terrifying vampire and skeleton music playlist, where creepy creatures will haunt your nightmares. This is the new Meditation Relax Club playlist on streaming , so why don’t you join it and don’t forget to watch your back!